If you must remove the fish from the water, be gentle with it. Although a net will remove some of the slime, you are better off using one instead of lifting the fish out of the water and letting it flop around on the ground or on the bottom of a boat. If you must pick up the fish, wet your hands first. This will cause less of the slime to come off the fish. As noted earlier, if the fish has swallowed the hook, don't try to dig it out. Cut the line as close to the gullet as possible and return the fish to the water immediately. Sometimes a fish is so exhausted after the fight that, although it is alive, it can't move water through its gills fast enough to recuperate. 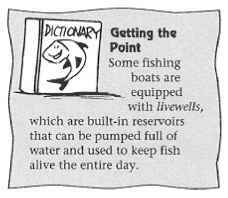 If the fish you are returning to the water seems lethargic, you can revive it by moving the fish through the water, headfirst, to force water into its mouth and through its gills. Support the fish and keep it upright by placing one hand under its belly. Hold the fish's mouth open with your other hand if necessary (and if it's not full of sharp teeth) and make sure you're not keeping the gill flaps closed. Move the fish forward, gently, a few times until it swims off on its own. 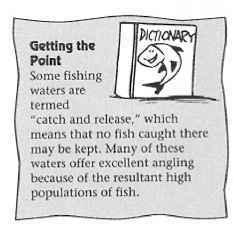 If you're fishing moving water, simply hold the fish with its head into the current until it revives. The first step in preparing a fine fish dinner begins on the water. How you handle your fish determines how good that fish will be on the table, and for the best taste, you have to keep your fish either alive or cold. A fish stringer is a device on which you string or clip fish. 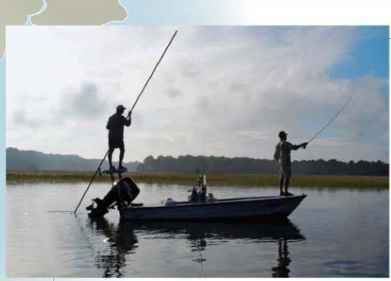 After putting a fish on a stringer, the fish end of the stringer goes in the water while the other end is tied to the shore or the boat. Some stringers are nothing more than a narrow nylon rope with a metal point on one end and a metal ring on the other. The point should be inserted through the upper and lower lips of the fish and then run through the metal circle, to ensure security before being tied off. Other stringers are chainlike devices with numerous clips hanging off of them, which operate much like safety pins: Open the pin, insert the wire through both lips, and close the pin again. Don't run a stringer through a fish's gills. Although it seems a convenient and secure place, it will damage the fish's gills and also keep the fish from closing its mouth completely, hindering the flow of water past its gills. Stringers work well when fishing from a boat, because it's a simple matter to string a fish and toss it over the side, where it will remain alive until you're ready to clean it. Remember to bring the stringer into the boat whenever running an outboard motor. But if you are going to be taking the fish in and out of the water quite often, or if the day is hot and the water at the surface is too warm for your stringered fish to survive, you are better off keeping your catch on ice (actually under ice) in a cooler. Any cooler large enough to hold your fish and enough ice to last the day is fine. Kill the fish by rapping its head or breaking its neck and place it on the bottom of the cooler, with the ice on top. (If you don't kill the fish it may jump around and bruise itself, and fish that die slowly may not taste as good as quickly-killed fish.) Periodically drain water from the cooler as the ice melts. Creels are excellent for keeping your catch when walking and fishing creeks and streams. Old-style wicker creels are lightweight and fasten to your belt or your shoulder with a harness. The creel holds tackle, too. Put some wet moss or ferns above and below the fish, which will cool them as the water evaporates. Canvas creels also cool fish by evaporation. Typically worn slung over a shoulder, these creels should be dipped in water prior to putting a fish inside. A plastic curtain on the side keeps the angler's legs dry. A plastic liner on the inside holds tackle as well. 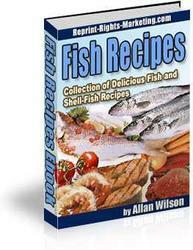 Check on the condition of your fish throughout the day. Cool spring and fall days typically don't create problems, but in the summertime you should take whatever steps are necessary to keep your fish cool, even if it means stopping fishing temporarily.